Pfc. 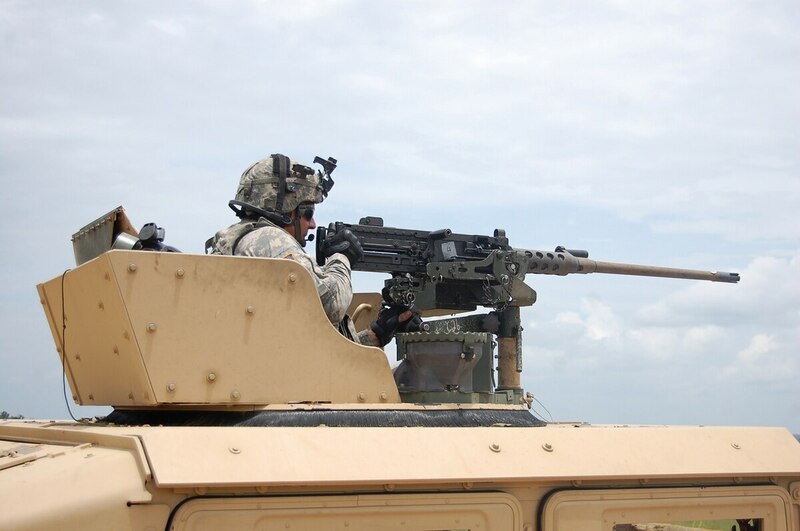 Kyle Olson, a native of Seattle, Wash., sights in a target as he prepares to engage it with his M2A1 50 caliber machine gun June 24 at Carmouche Range during the non-stabilized gunnery for 3rd Squadron, 1st Cavalry Regiment, 3rd Armored Brigade Combat Team. The Army has restarted a program designed to honor its top technological achievements and, fittingly, made some changes to its original design. The Army's Greatest Innovation Awards Program will recognize new products created by soldiers and civilians that have made war fighters safer, faster, healthier or more lethal over the last fiscal year. And the honor will recognize a former Army research leader whose service was cut short during a 2014 attack in Afghanistan. 1. What is it. The Maj. Gen. Harold J. Greene Award for Innovation will be presented in three categories: Military individual, civilian individual and group. To be eligible, the product must have been fielded during fiscal year 2015, though the contest has a broad definition of "fielded" – most anything that debuted for soldiers' use in the past 12 months will be eligible. 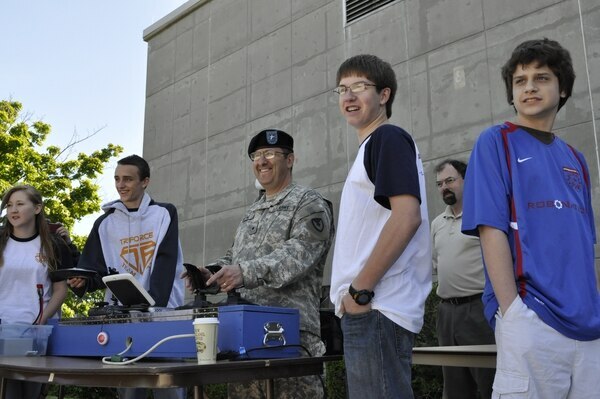 Maj. Gen. Harold Greene controls a robot during a visit by students to Natick Soldier Systems Center, Massachusetts, in 2009. A new award for Army innovators will honor Greene, a former head of Natick who was killed in Afghanistan in 2014. 2. A 2-star tribute. On Aug. 5, 2014, Greene became the first general officer killed in battle since Vietnam, the victim of an insider attack in Kabul. He had multiple degrees in engineering and other disciplines, and worked at different levels throughout the Army's research arm, including a stint as the top officer at Natick Soldier Systems Center, Massachusetts, from August 2009 to May 2011. "His dedication and work saved countless lives," then-Chief of Staff Gen. Ray Odierno said at Greene's memorial ceremony. "I believe he had a rare combination of intellect, passion and the warrior ethos." 3. The old award. Army Materiel Command began the Army's Greatest Inventions Award Program in 2003 to honor its top researchers and developers, then expanded the program in 2009 to include a special award for soldier inventions. Both awards were discontinued in 2012 "to refocus the program on a broader class of innovation, including new techniques, methodologies and procedures benefiting the war fighter," according to an AMC spokeswoman. 4. Past winners. Even before the broader criteria, the innovation awards spanned the service when it came to recognizing new technology. The 2011 awards honored everything from the M2A1 .50-cal machine gun to the Soldier Plate Carrier System to a missile warning system for OH-58D helicopters to the Pelvic Protection System. The previous year's honorees included enhanced 5.56mm performance rounds, and the Soldier Wearable Integrated Power Equipment System, developed by Army Communication-Electronics Command. Not everything was battlefield-oriented, however: Developers from Army Medical Research and Materiel Command were honored for their work on the mCare Project, a messaging system designed to keep soldiers with traumatic brain injury and other health care concerns informed of their medical appointments. 5. The fine print.Nominations are being accepted through Dec. 15, with awards to be announced in February. For eligibility details and nomination forms and instructions, visit the award program website www.amc.army.mil/amc/agiap.html or email usarmy.redstone.usamc.mbx.agiap@mail.mil.